exacqVision video management system (VMS) software version 7.4 integrates with DSC PowersSeries Neo. Through exacqVision CameraLinks, users can arm and disarm the system in live view by simply clicking and entering the access code. DSC and exacqVision users can see partition and zone status on cameras and maps and configure event linking actions and event monitoring actions. 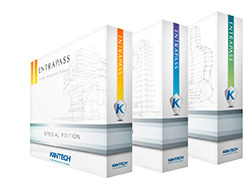 For a complete security solution, the DSC and exacqVision integration combined with the Kantech access control integration gives users greater control to operate all security operations at once, reducing complexity while saving time and money.